Episode 15 – Food for Thought | Ask Dr. White Cosby! We hope you’re hungry, because it’s snack time. No, that’s not it – it’s more like a healthy, robust lunch. A lunch with several courses. A lunch that lasts for several hours, and actually you can’t really tell when lunch ends and dinner begins, and then when dinner ends and supper begins and then you get desserts. That’s what this episode is like – a smorgasbord of good advice, tall tales (all true) and delicious whispers. Also, if you haven’t guessed yet, all of this week’s issues are food-related. Both food AND good advice used to be in here. How do I catch a squirrel or two for my 1930′s-style Squirrel Pie? What do I do if a dingo eats my baby? 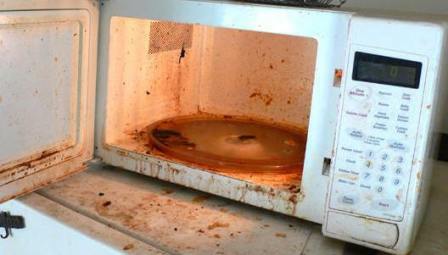 How do I handle food left in the office microwave? Should Thanksgiving be held in a house filled with cats? …do you really need White Cosby’s help with that last one? Either way, don’t forget to get your weekly dose of movie magic mouthery with The World Famous White Cosby Movie Review of R.I.P.D! Now here’s what you need to do – leave a request for advice on White Cosby’s Facebook Page. Subscribe to this blog to receive notifications when new episodes drop. And check out the show in iTunes so you can rate it incredibly, amazingly high. All the stars, don’t you know.